Auto shipping is the most convenient and affordable way to move cars from one place to another, especially if it is long distance. Why drive all that distance and put on mileage when you can save gas and miles by getting your car shipped. Most of us consider our cars to be one of the expensive possessions that we own. Getting your car shipped for the first time might seem scary and make it hard to trust someone else with it. But with reliable auto shipping companies like Denver Car Shipping, you will save time and money while being assured your car is in safe hands. Denver Car Shipping is your expert on all things Auto Shipping. Whatever kind of vehicle you need to ship, we can do it for you. 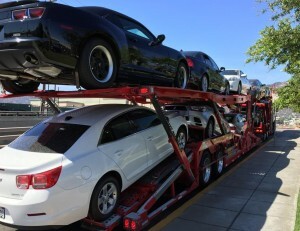 Our Auto Transport services are available all across the United States. … And many other Auto Shipping services! At Denver Car Shipping we always offer options to our clients. With us, you can book either Open Auto Transport or Enclosed Auto Shipping. We provide affordable Car Transport for those just looking to save money, and we also can provide premium Auto Transport services for exotic car owners. If you are in a hurry, that’s not a problem with Denver Car Shipping. We provide Expedited Auto Transport which means the fastest available pick-up. For our clients’ convenience, we always ship door-to-door. But we also have terminals in all major cities in the country. At Denver Car Shipping we do everything possible to exceed the highest expectations of our customers. To get a free Auto Shipping quote from Denver Car Shipping, simply fill out the form on our website. You can also call our agents to get a quote and get answers for all of your questions. Denver Car Shipping will be happy to serve you!